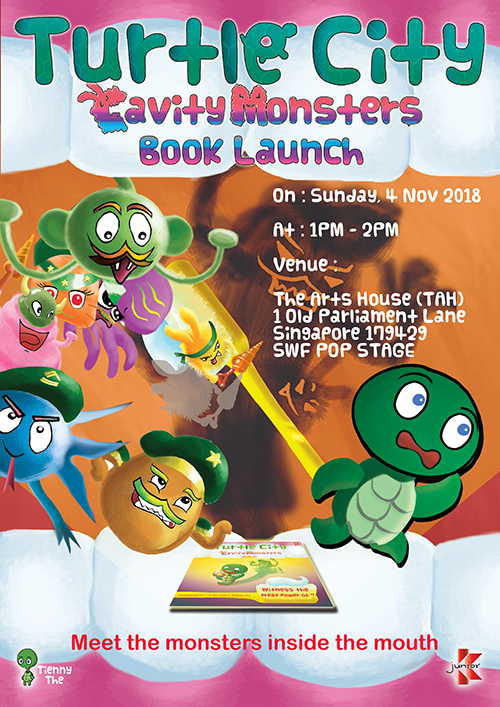 Let us welcome the young Singaporean Turtles in our Turtle City : Cavity Monsters book launch this coming Sunday. This is the first debut in Children’s Picture Book. Kitaab publishing and Tienny work together to present Turtle City : Cavity Monsters for Parents and Children to read and enjoy together. Join our Book Launch this coming Sunday, 4 November 2018. Carl, thank you for your best wishes. Really appreciate for your comments.